The ASSOS Habu socks are the perfect choice for early winter or in-between seasons. They're made of comfortable merino wool and compress your feet to promote circulation. 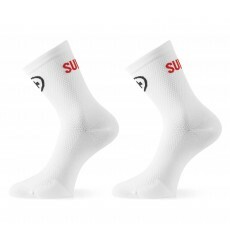 Designed to be worn in the summer heat, or earlier in the season in combination with shoe covers, these ASSOS GT socks promise great comfort in use. 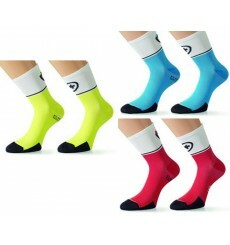 The Fuguspeer S7 Windproof Assos socks are very useful in cold weather. Keeping the foot warm to promote blood circulation and prevent heat dispersion with these ASSOS bonka socks. 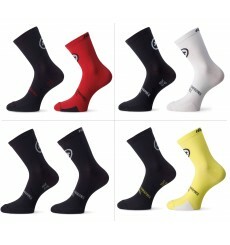 ASSOS Monogram Evo 8 cycling socks : a new light summer stocking in our collection. It is elastic, breathable and adapts to the foot optimally. Innovative, improved material composition. Based on ASSOS popular equipesocks, the ASSOS Exploit Evo7 are the new go-to summer socks for not only Assos Werksmannschaft but also equipe éxploit, which the sock is named after. 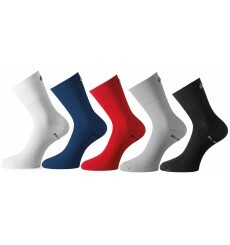 More choice with this pack of 2 pairs of Assos Mille S7 summer socks. ASSOS Equipe G1 are socks dedicated to performance. They effectively remove moisture. Lightweight, seamless, very comfortable summer socks.